What are your goals are for 2015? And how many times have you set a similar goal? New Years goals get set and broken each year, so what is the secret to setting a goal that truly creates change for you? So many people find themselves making the SAME New Years Resolutions year after year. Despite best intentions, few New Years resolutions make it past February and even fewer become realized goals. So, how can you make goals stick? Join me in this interactive group workshop where you will be expertly guided through 4 key steps to setting goals that stick. Leave the session with inspiring goals that stretch you to be your best and yet are realistically within your reach in a clear time-frame. Carole has over 20 years experience in the people development field. She has lived in Hong Kong since 1997 and has first-hand experience of making career changes in order to find a truly fulfilling and balanced career in this fast paced city. 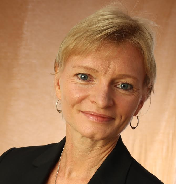 Carole is a Professional Certified Coach with the International Coach Federation, has a certificate in Neuroleadership from the Neuroleadership Institute, and has a B.A. in Adult Education. She is certified to deliver Harrison Assessments talent and leadership development assessments. She trains, mentors and assesses new coaches aspiring for international certification.